The HAMPTON FALLS INN combination of amenities and affordable rates make us one of the best hotels in Hampton Beach when it comes to value for money. We know that you don't want to sacrifice comfort to get a good deal, so we've made sure to outfit our hotel with all the features that you'd expect and need to enjoy your stay. 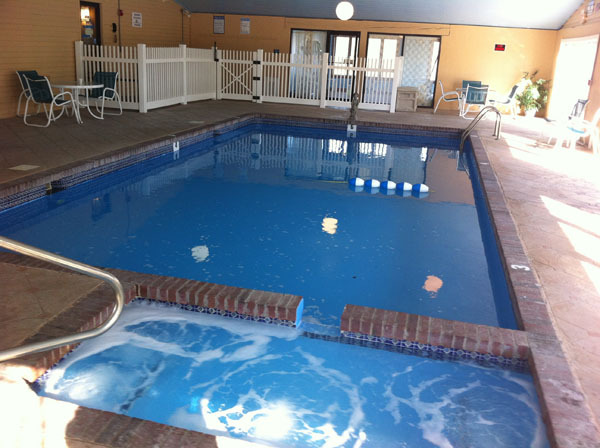 We know there are times when you don't want to go swimming in the ocean, which is why we made sure to install a heated indoor pool and spa at Hampton Falls Inn. Swim a few laps on a cloudy day or just take a break from the salt water. Our accompanying hot tub offer the ideal way to relax after a busy day of sightseeing and beach-going. Hampton Falls Inn offer, complimentary WiFi, weather you are relaxing in Hotel Lobby, in-room and Pool/Spa area. Hampton Falls Inn, offers a complimentary coffee and tea in lobby 24/7.